ticipating. I need many more weeks to garner joy from mine. pictures, and put all the ornaments away mega-carefully. Oh well. 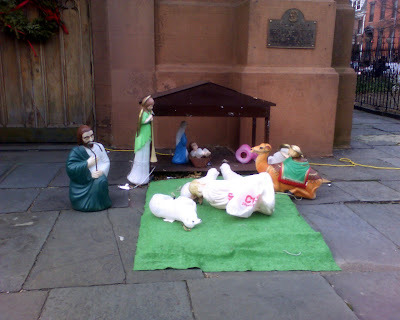 blown over this touching plastic creche scene.